Natural News is a science-based natural health advocacy organization led by activist-turned-scientist Mike Adams, the Health Ranger. The key mission of Natural News is to empower consumers with factual information about the synthetic chemicals, heavy metals, hormone disruptors and other chemicals found in foods, medicines, personal care products, children's toys and other items. Natural News covers holistic health, nutritional therapies, consciousness and spirituality, permaculture , organics, animal rights, environmental health, food and superfoods , and performance nutrition. The site strongly criticizes drugs-and-surgery medicine, vaccines, corporate corruption, animal testing, the use of humans for medical experiments, the chemical contamination of foods, heavy metals in consumer products, factory farming and government corruption. The long history of pharmaceutical experiments on human beings, including the Tuskegee syphilis experiments conducted on African Americans in the USA. Natural News employs a staff of over 20 writers and researchers who write up to 15 original news stories each day. Publishing a comprehensive investigation of fake (imitation) blueberries used in foods throughout the processed food industry. A 2011 mini-documentary created by Mike Adans (the Health Ranger) and published by Natural News received over 2.8 million views on TV.naturalnews.com and caused many food manufacturers to reformulate their foods to use real blueberries rather than fake ones. Conducting a detailed forensic visual analysis of McDonald's Chicken McNuggets and publishing the photos on Natural News. These photos revealed Chicken McNuggets to contain "strange fibers" that had previously not been known to exist in McNuggets . Was the first global news site to expose the fake acai berry scam (http://www.naturalnews.com/031280_acai_berries_scam.html), which eventually led to the FTC shutting down the acai operation and levying multi-million-dollar judgements against six individuals and their operating companies (http://www.ftc.gov/opa/2012/01/fakenews.shtm). Natural News editor Mike Adams (the Health Ranger) achieved tremendous global exposure for his 2011 parody music video entitled, "Don't Touch My Junk," which made fun of TSA agents using Monty Python-style animation. The video went on to receive over 300,000 views on YouTube (https://www.youtube.com/watch?v=QhEMRSp7vaY), even after it was flagged as "inappropriate" and restricted from being viewed by users who were not logged in. Natural News led the coverage of the now-famous California "raw milk raids" which saw Rawesome Foods and its founder James Stewart arrested and imprisoned for the "crime" of distributing raw milk to individuals and moms. Natural News also led the nationwide backlash against the city of Oak Park , Michigan , which had threatened a young mom named Julie Bass with 90 days of jail time for growing a vegetable garden in her own front yard. (http://www.naturalnews.com/032960_Julie_Bass_home_gardening.html) Natural News led a consumer activism campaign to barrage the city of Oak Park with complaints until they agreed to drop the charges against Julie Bass. The city ultimately agreed to drop the charges and Julie Bass was able to continue growing her vegetable garden (http://www.naturalnews.com/033175_Julie_Bass_Oak_Park.html). As part of the campaign, Mike Adams (the Health Ranger) published a parody video which depicted Oak Park city manager Kevin Rulkowski as being a vindictive, South- Parkian moron (http://tv.naturalnews.com/v.asp?v=3A4B88066D390F0EA7C2664E371269D3). Natural News was the leading voice in the case of the Michigan DNR (Department of Natural Resources) order small, local pig farmers to shoot and destroy their own pigs. (http://www.naturalnews.com/035585_Michigan_farms_raids.html) This story, like many Natural News stories, received global news coverage and was featured on DrudgeReport.com. Natural News editor Mike Adams is the author behind the world's most popular article on "how to spot a sociopath," currently featured in the top five search results on Google for the search term "sociopath." (http://www.naturalnews.com/036112_sociopaths_cults_influence.html) This story has been viewed by millions of readers and continues to help people avoid being exploited by others with sociopathic tendancies . Mike Adams (the Health Ranger) is the creator of all the cartoons featured on the comedy site CounterThink.com. Over 200 cartoons are featured there, poking fun at institutions ranging from the FDA to U.S. Presidents (including Bush and Obama ). "The Museum of Human Atrocities"
"Pharmacies vs. Health Food Stores"
Natural News runs its own online radio broadcast featuring a full lineup of hosts covering topics of natural health, nutrition, liberty, agriculture and more. Popular shows on the network include " Linderman Unleashed," "Mental Health Exposed" and "Prescriptions for Health." Natural News is affiliated with the 501(c )3 non-profit known as the Consumer Wellness Center (www.ConsumerWellness.org). Mike Adams, the editor of NaturalNews.com, is the executive director of the Consumer Wellness Center . It is a non-paid position. The Consumer Wellness Center donates 100% of its contributions to programs that teach nutrition education and gardening education to women and children around the world. Natural News has helped raise millions of dollars for what it considers to be "worthy causes" such as documentary films and legal defense funds for farmers who have been raided by the government for producing raw milk. The Canary Party, creators of the video "Do vaccines cause autism?" In addition, Natural News has also helped publicize numerous authors including Dr. Suzanne Humphries, author of "Dissolving Illusions" and Dr. Rupert Sheldrake, author of, "Science Set Free." In 2010, Natural News launched TV.naturalnews.com, it's own "private YouTube " that allows users to upload and view videos. The site currently features over 23,000 videos uploaded by users and serves up approximately one million video views per month. In 2013, Natural News launched SCIENCE.naturalnews.com, a very large relational research database based on ten million scientific studies whose abstracts are collected in the PubMed resources of the National Library of Medicine. 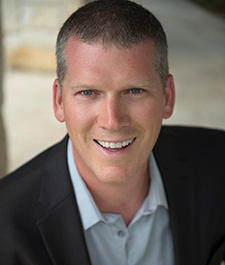 Mike Adams (the Health Ranger) programmed the relational indexing and tokenization algorithms for the project, drawing on his background in the software industry. Unique to the site is the ability to see relationships between any two concepts (such as Vitamin D and breast cancer), then quickly view a list of all the available scientific studies on those two topics. SCIENCE.naturalnews.com currently covers over 8,000 concepts spanning nutrients, diseases, drug side effects, synthetic chemicals, phytochemicals , amino acids, sweeteners, diets, medical concepts, holistic health therapies and environmental science terms. Mike Adams promises to continue expanding SCIENCE.naturalnews.com to cover 20 million scientific studies while adding more qualitative relational algorithms to allow readers to easily find relationships of concepts among the "noise" of free-form scientific abstracts. In 2013, Natural News launched BLOGS.naturalnews.com and immediately signed up over 500 writers who now post content covering recipes, how-to articles, nutritional tips and more. BLOGS.naturalnews.com was founded on the principle of sharing revenues with content creators. Writers who contribute to BLOGS.naturalnews.com earn 100% of the ad revenues for the top ad position above the article. Other suboordinate ad positions on the page earn revenues for Natural News, which makes the service available for free. In 2013, Natural News launched its Forensic Food Laboratory with Mike Adams as its director. The Forensic Food Laboratory currently owns a high-powered digital microscope with videography capabilities that Adams has used to conduct microscopy investigations of everyday foods (and other objects). Adams has also hinted at the release of upcoming videos on breakfast cereals being manipulated on camera using high-powered magnets. Adams promises that the Natural News Forensic Food Lab will be expanded to include more testing and investigations equipment. Natural News stories are frequently copied and posted by other alternative news organizations, including Infowars.com, DailyPaul.com and a variety of other sites spanning subjects as diverse as the environment, liberty, self-sufficiency and vaccines. Over 30,000 unique domains currently link in to Natural News, including thousands of university and government domains. "I'm so impressed with the work that you're doing and the information you're disseminating, it's just vital for people to get this sort of information"
"Sometimes you just know you are in the presence of a special person who really cares about others. I had the pleasure of meeting Mike Adams recently and knew instantly why this fearless 'Health Ranger' is so admired by millions of people. He is not only a brilliant communicator but he is passionate about awakening people with the truth." "Mike Adams is a friend of mine and a man of integrity. Mike comes from the heart and shoots from the hip. In his Natural News.com online magazine, Mike offers insights, facts, humor, and shocking news that truly enlightens his readers to the ways we are being hoodwinked by big business in America . He takes a hard stand against the out-of-control-use of pharmaceutical drugs and offers safe and natural alternatives. Mike walks his talk and is a true inspiration to me." - Jay Robb, Clinical nutritionist, bestselling author, creator of Jay Robb Proteins, and CEO of Jay Robb Enterprises Inc.
"I ended up listening most of the three hours of Mike Adams. What an incredible job that guy did. I gotta say of all the fill-in hosts, and they all do a great job, I think Mike does the best job, and it's just good to know there's other people out there that really get it and are so articulate, and just are so effective. And he's such a gentleman..."
"Mike Adams is one of America 's great journalists and freedom fighters. His ability to deliver important leading edge nutrition and healing information is unparalleled in all of journalism. Over the years, not only have I learned to respect and consider Mike Adams' opinion in all areas of nutrition, I have also found the scientific facts he references about his subject matter to be consistently accurate. I am honored to know Mike Adams personally. Every time I get to read his words or see him speak, he makes my day The Best Day Ever! He can do the same for you!" "I met Mr. Mike Adams face to face at the Anaheim Health Expo. After reading the Natural Health newsletters for so long, I was fascinated to meet the face behind all that wealth of information. It was truly one of the best days of my life to meet a man of such passion and integrity. Mr. Mike Adams has helped millions (perhaps billions) of people worldwide with the valuable information about keeping healthy and not falling pray to the unethical "Big Firms." Best of all, he does this without asking for money. Now that's dedication. I wish that more people would have the level of intensity that Mr. Mike Adams has to get the knowledge in our hands and help us get healthy and stay healthy. I have recommended ALL my friends to sign up for this important newsletter." "Worldwide liberty lovers have seized the moment and we are waking up millions and millions of people... but the millions of other activists across the planet are waking up even more people, and one of those activists out there having a huge effect with his weapon the truth is Mike Adams of Natural News."